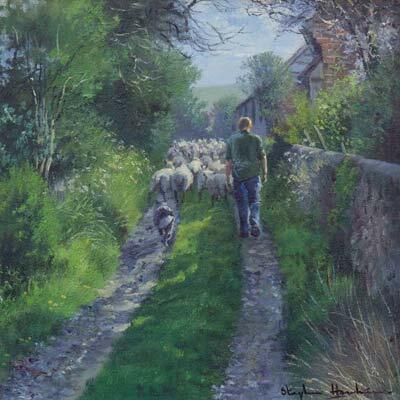 Stephen Hawkins is best known for his captivating paintings of the Sussex countryside. 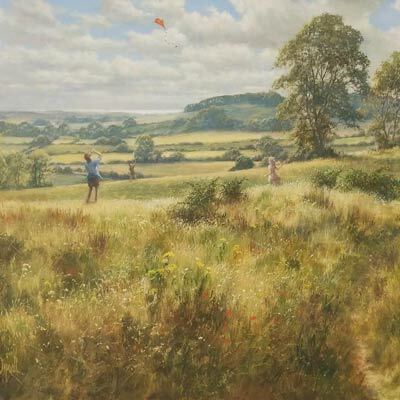 These original oil paintings cover a variety of sporting/shooting scenes as well as focusing on more general countryside living. Stephen Hawkins was born in Surrey in 1964. As a child, Stephen combined an enthusiasm for horses with a love of drawing. He soon displayed a natural artistic ability which led him to produce equestrian and countryside paintings using a variety of medium. Since moving to Sussex around 20 years ago, Stephen has concentrated on landscapes, mainly of the South Downs and Sussex. 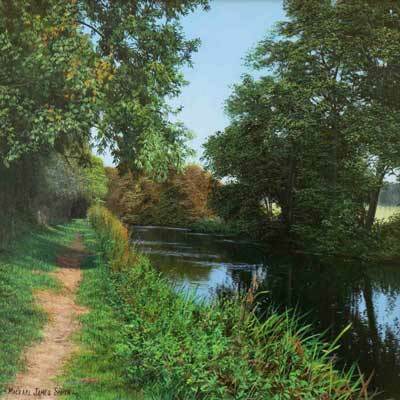 These capture the subtle changes of light and shade, throughout the seasons. It is often through the changing light that Stephen captures the most magical moments in his paintings with shards of sunlight piercing the canopy overhead or highlighting one of the figures. 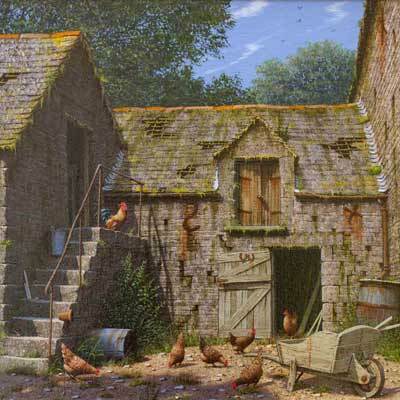 The inclusion of sheep, cattle and horses in many of his landscapes helps to convey truthfully the peaceful atmosphere of modern day Downland life. 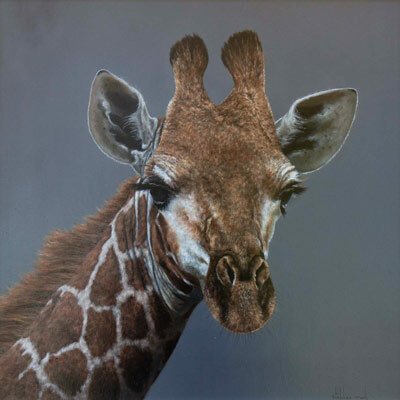 Forest Gallery is proud to represent the artist Stephen Hawkins and often has a wide range of paintings on display. If you have any specific requests of size requirements we would be happy to discuss this with you further and can arrange for commissions by the artist. Please get in touch with us for further details.